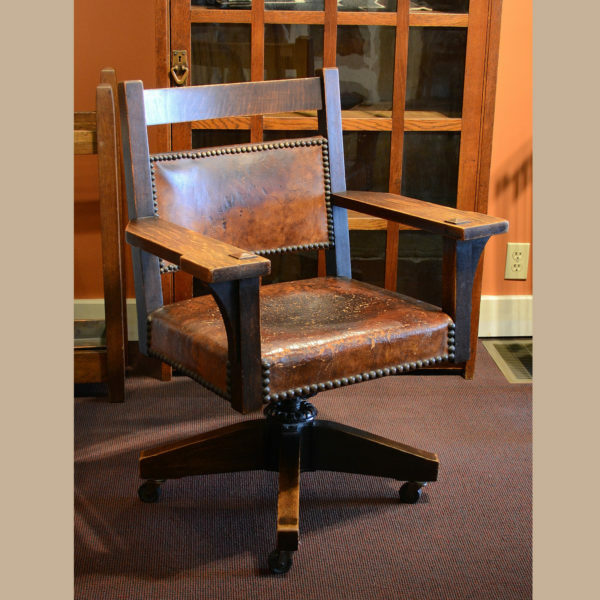 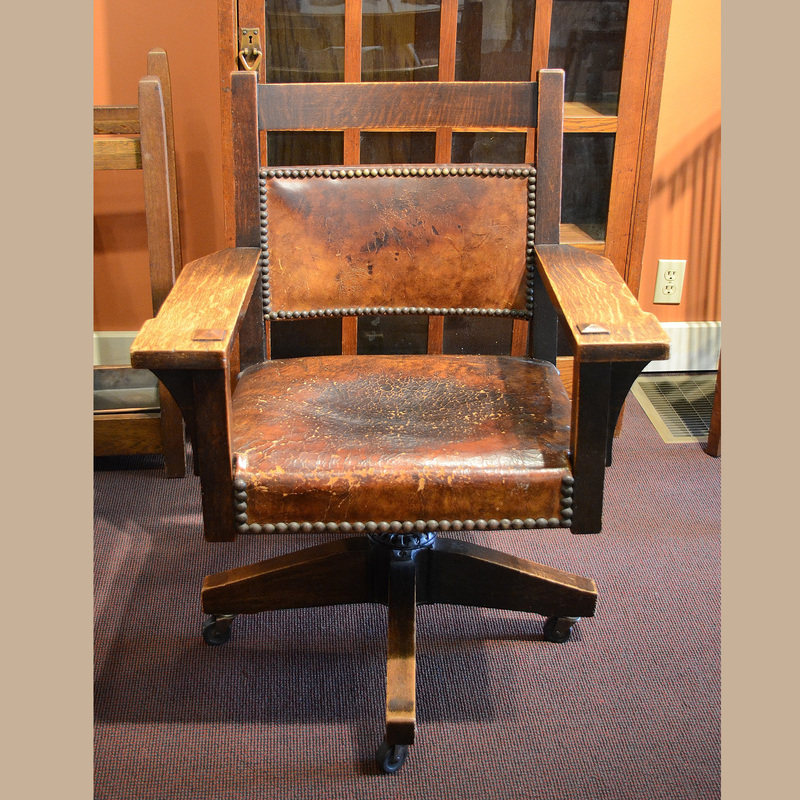 Early Gustav Stickley office chair with good original leather and original finish. 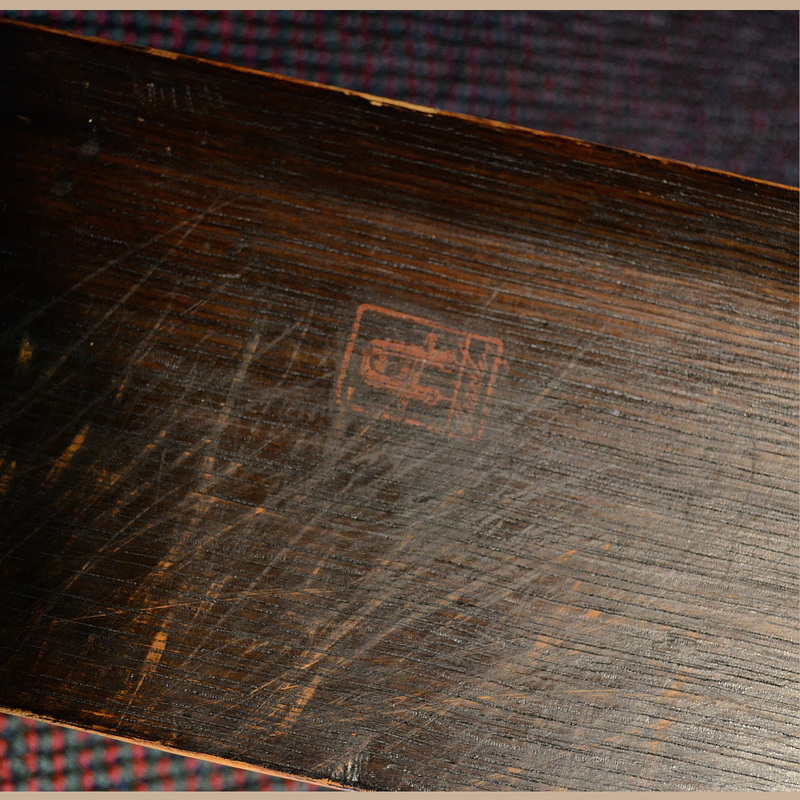 Signed with the 1902-1904 red decal. 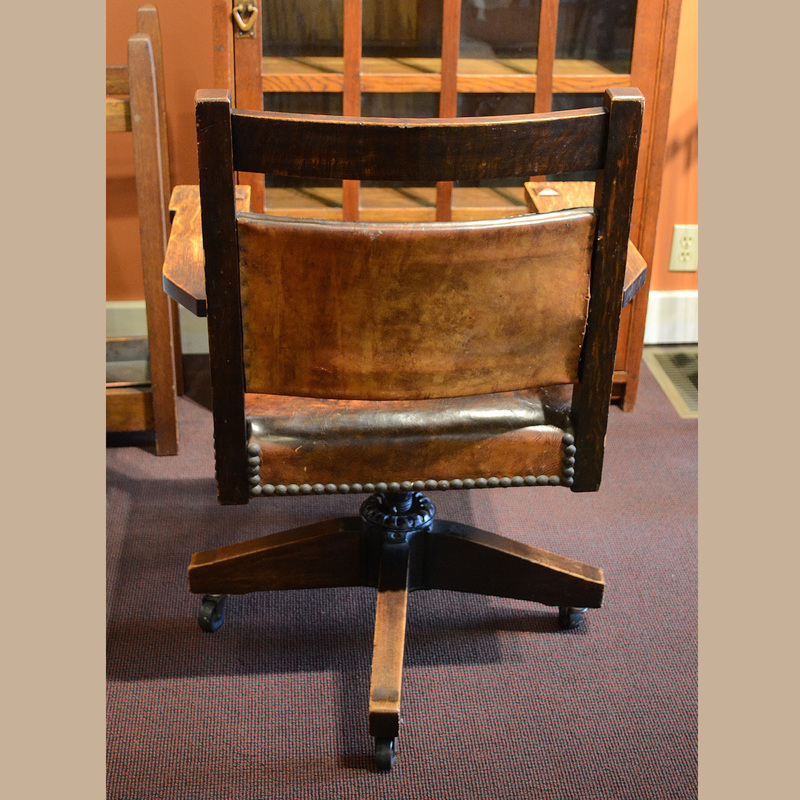 Castors replaced a few decades ago.